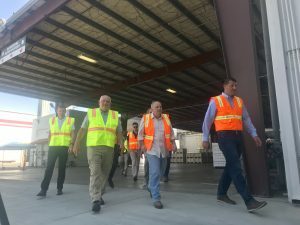 While the foreign trade climate continues to stay heated, U.S. Agriculture Secretary Sonny Perdue spent a few days touring farming operations up and down the state making several stops within the San Joaquin Valley. His visits were met by agriculture industry professionals who chatted about major industry topics during roundtable discussions. The topics included tariffs, export markets, market access and relief programs, accessible foreign workforce and reliable water supplies. U.S. Agriculture Secretary Sonny Perdue and Congressman David Valadao Visit HMC Farms in Kingsburg, Ca. Accompanying Perdue were Congressmen Jim Costa, Jeff Denham, Steve Knight and David Valadao. 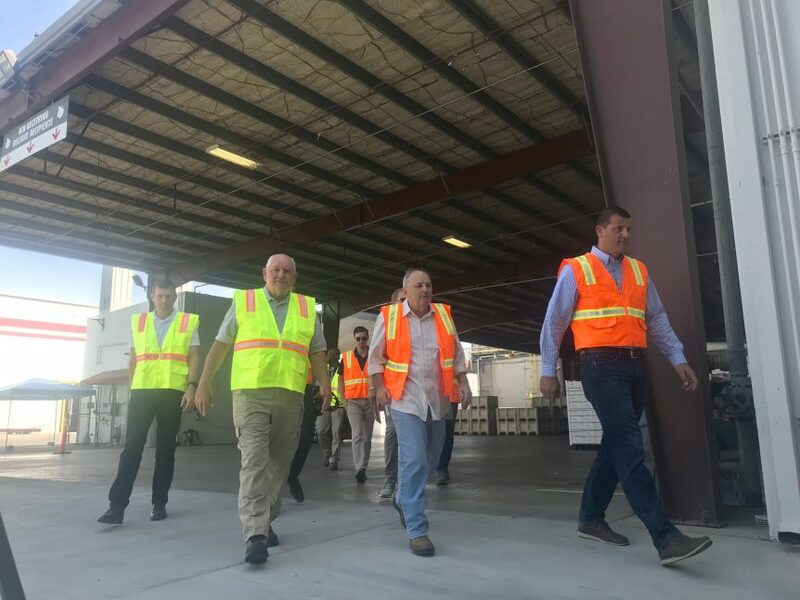 During Perdue’s stop in Kingsburg, representatives from California industries — some of which lead the nation in production– including nuts, stone fruits and dairy made sure the state didn’t get overlooked. Perdue reasoned with folks around the table, bringing up his roots in the ag industry and that he relates to their concerns. Those gathered reiterated the diversity of California’s farming Valley and how it differs from other ag producing regions the Secretary may be familiar with. Perdue continued to listen and assured he is working with the administration to develop policy. Listen to the interview with Perdue below.